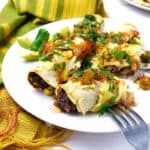 If you love Mexican food, you won’t be able to resist these Healthy Vegetarian Black Bean Flautas. 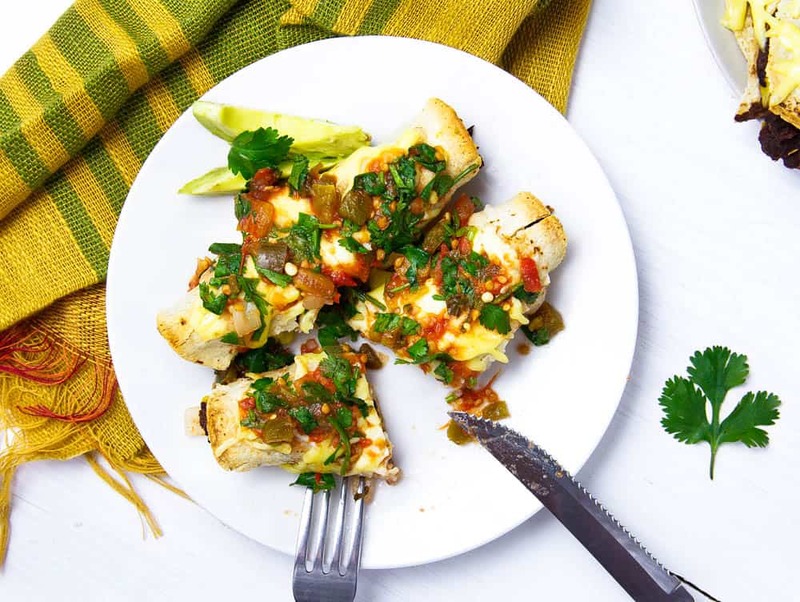 Packed full of flavor, these flautas are easy to make, kid-friendly, and perfect for a healthy weeknight meal. 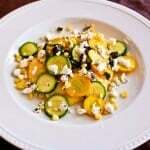 My husband loves Mexican food – Enchiladas, Nachos, Flautas, Quesadillas, etc. 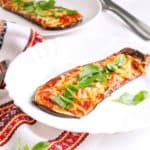 So a lot of times I’ll find myself in the kitchen experimenting with how to make a healthier version of these traditional recipes that still taste great but are so much better for us as a family! Flautas are delicious but are supposed to be deep-fried, and veggie versions are usually just filled with cheese and nothing else. 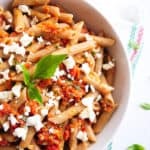 I wanted to create something that was reminiscent of flautas but could be baked instead of fried, and had a healthier filling than just plain cheese. 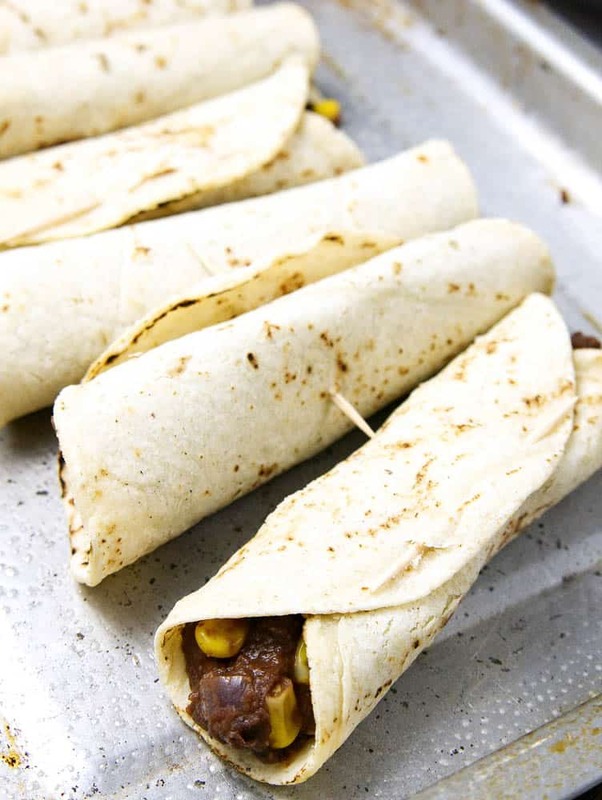 For these flautas, I filled them with a black bean and corn filling and oven-baked the tortillas — and it turned out great! I hope you love it as much as we did! Heat oil in skillet over medium heat. 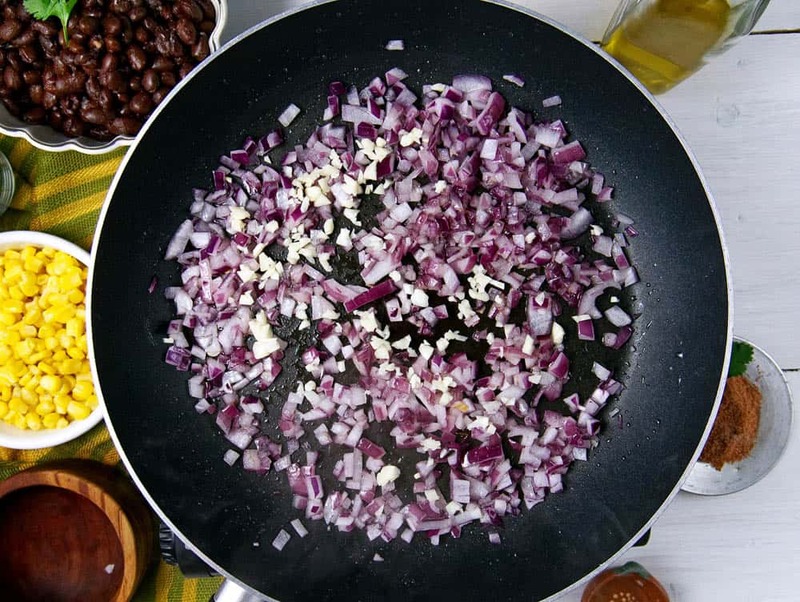 Cook onion 3 to 5 minutes, or until soft. Add garlic, and cook 1 minute, or until translucent and fragrant. 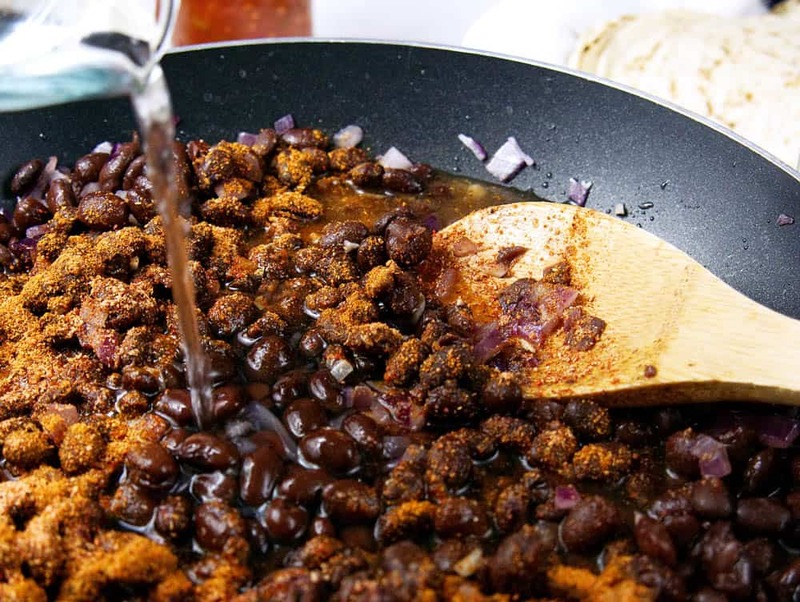 Stir in beans, chili powder and 1 cup water. 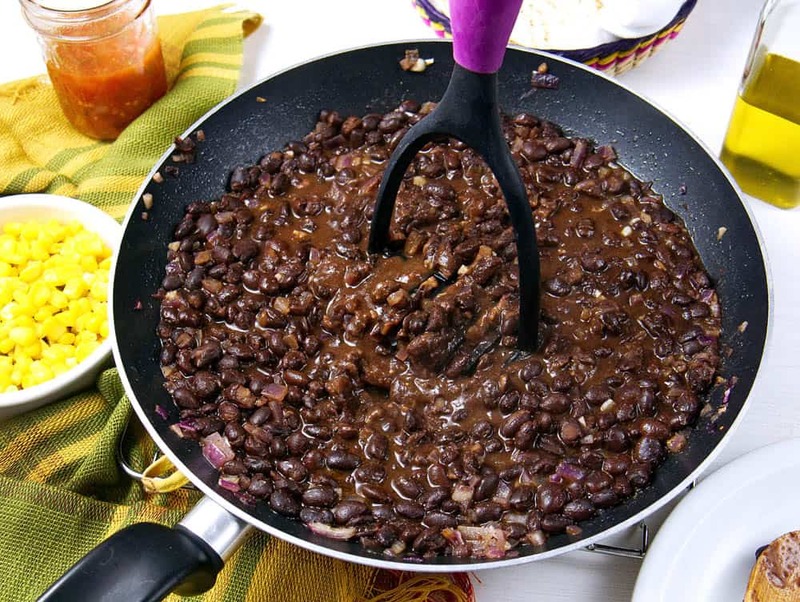 Reduce heat to medium low, and simmer 10 minutes, or until most of liquid has evaporated. Remove from heat. Mash beans until mixture is thickened but still chunky, and some beans remain whole. 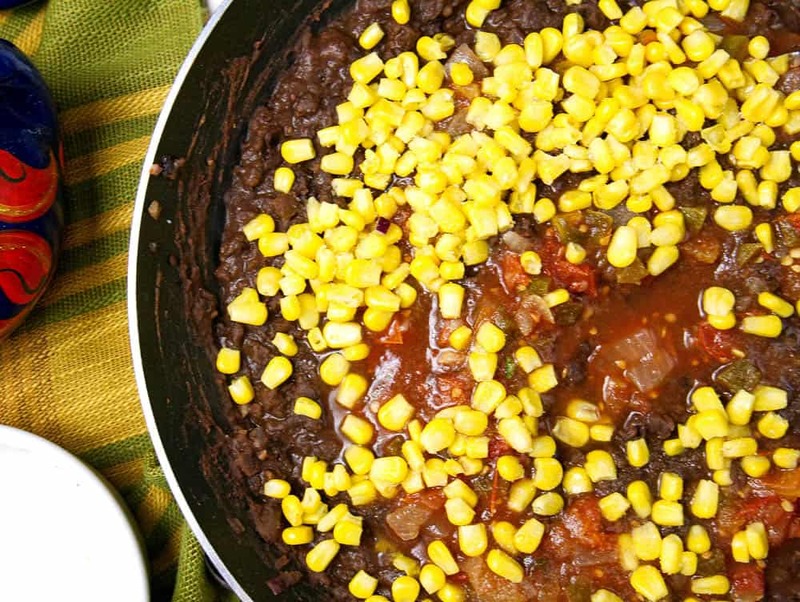 Stir in 1 cup salsa and corn, and season with salt and pepper. Cool. Preheat oven to 425F. Coat 2 large baking sheets with cooking spray. Spoon 1/3 cup black bean mixture down center of tortilla. Roll tortilla around filling, and secure closed with toothpick. Set on prepared baking sheet. Repeat with remaining tortillas and black bean mixture. Bake 6 to 10 minutes, or until tortillas are browned and crisp. Note: If you want to add more crispiness, you can put the flautas under the broiler for a few min and top each one with 1 Tbsp of cheese to get a nice crust on top. Meanwhile, combine cilantro and remaining salsa in small bowl. Place 2 flautas on each plate, and top with remaining salsa. Flauta (pronounced flaw-ta) is a Mexican dish, also known as taquito or rolled up tacos. 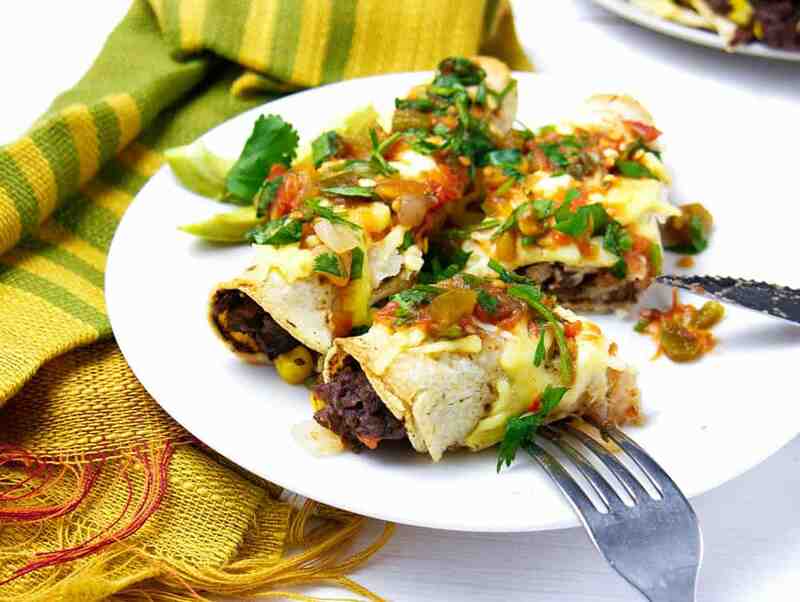 Traditionally they are tortillas filled with beef and chicken (and sometimes cheese), fried, and topped with condiments such as salsa, sour cream and guacamole. The traditional way to make flautas can’t really be called healthy, but with a few simple swaps you can enjoy my version guilt free! 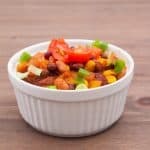 By swapping out the usual meat filling with black beans, you are reducing calories and cholesterol and adding in fiber and additional nutrients. I also opted for baking the black bean flautas rather than frying them, which reduces the amount of unhealthy fats you would get from a traditional flauta recipe. 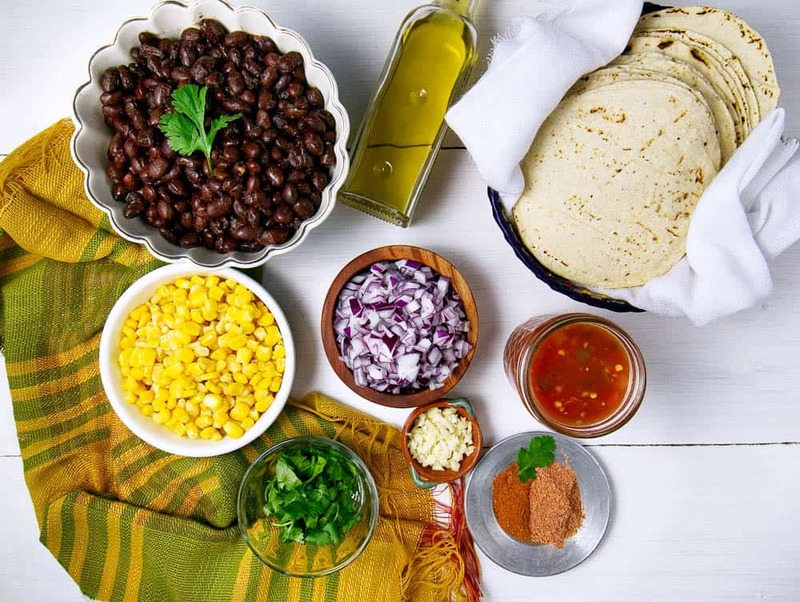 Can these Healthy Vegetarian Black Bean Flautas be made ahead of time? 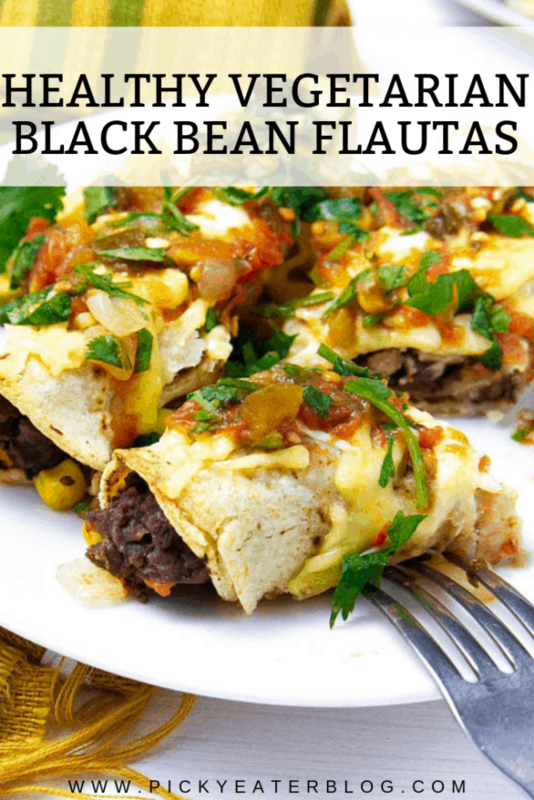 These black been flautas are a great option if you are looking to prep ahead of time. 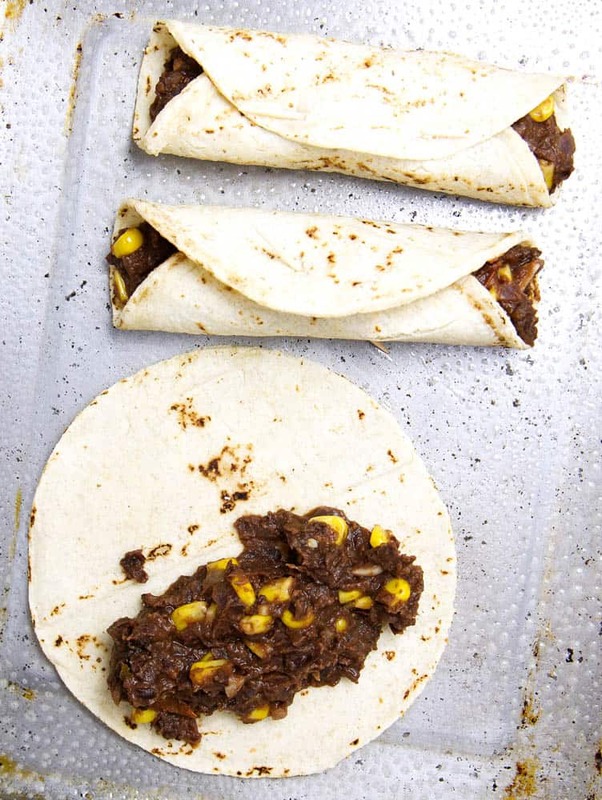 The filling can be made and wrapped in the tortillas, and then kept in the fridge for up to two hours before cooking. Let the filling cool completely before filling the tortillas, otherwise they may crack. 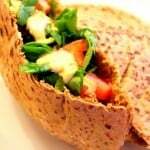 To make the tortillas pliable for rolling, you can heat them in the microwave for a few seconds. Soak your toothpicks for at least 20 minutes in water before inserting them into your flautas. 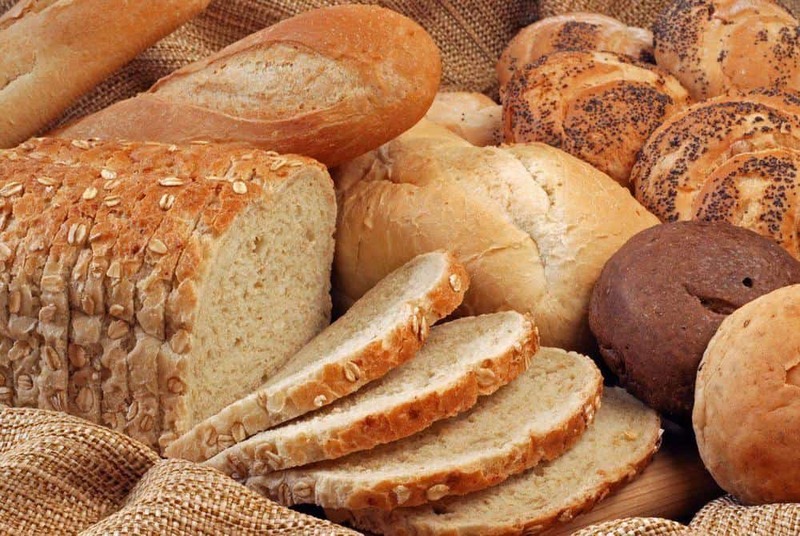 The moisture that is absorbed while soaking will prevent the toothpicks from burning during the baking process. 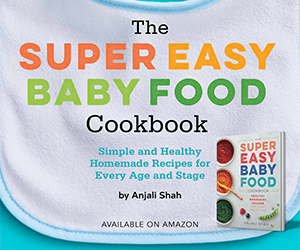 If you want to pack more veggies into your flautas, try adding in 4 cups baby spinach, chopped and cooked down and/or 1-2 yellow or orange bell peppers, diced into your filling. Note: if you add in these veggies you need to increase the spices & salt to taste! 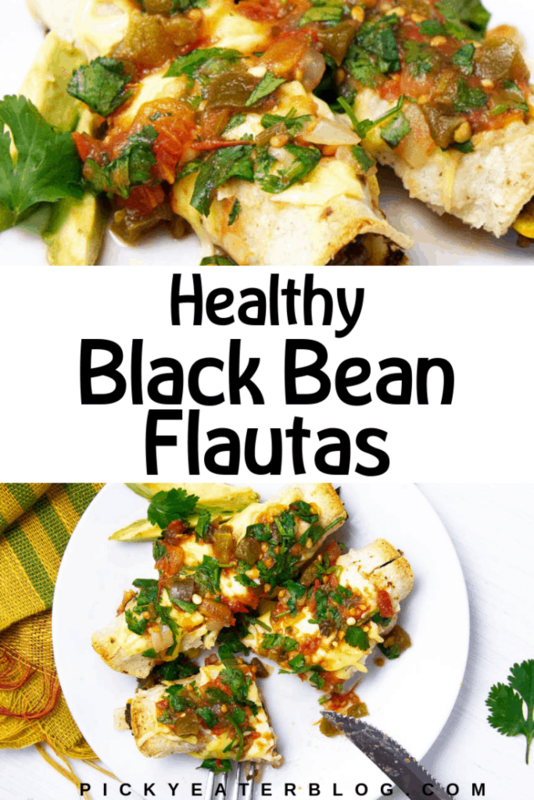 If you have tried this Healthy Vegetarian Black Bean Flautas recipe, or any other recipe on my blog, then please rate it and let me know how it turned out in the comments below! 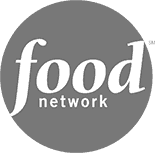 You can also FOLLOW ME on FACEBOOK, TWITTER, INSTAGRAM and PINTEREST to see more delicious, healthy, family friendly food! 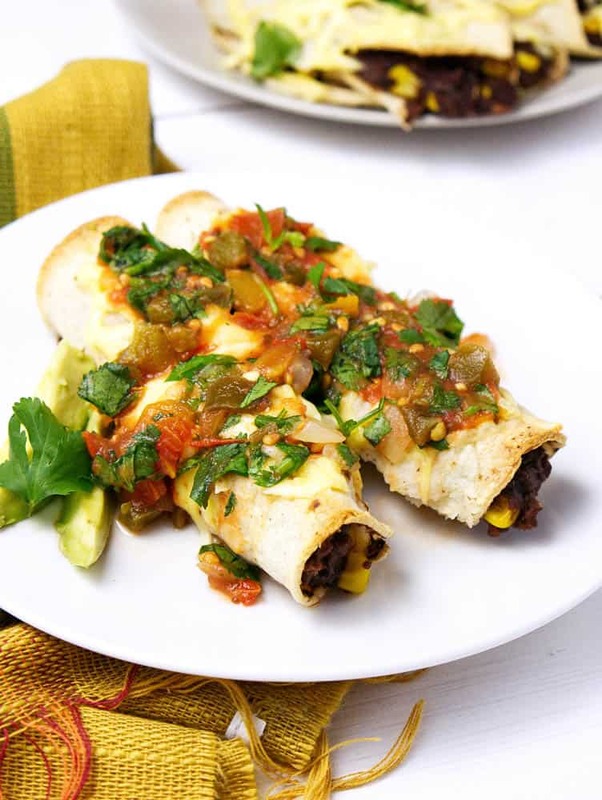 If you love Mexican food, you will love these Healthy Vegetarian Black Bean Flautas. Bake 6 to 10 minutes, or until tortillas are browned and crisp. Note: If you want to add more crispiness, you can put the flautas under the broiler for a few min and top each one with 1Tbsp of cheese to get a nice crust on top. Meanwhile, combine cilantro and remaining salsa in small bowl. Place 2 flautas on each plate, and top with remaining salsa. 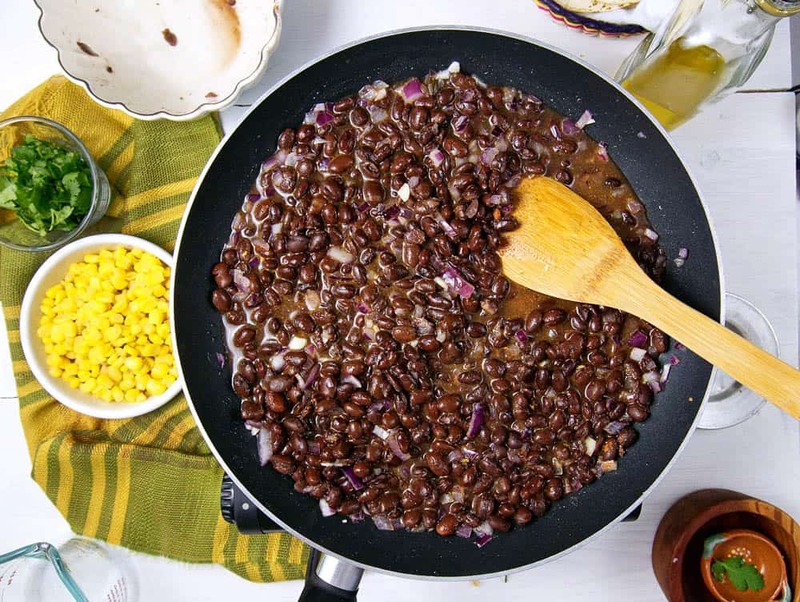 We try to use black beans in our Mexican dishes as much as possible. Such a great protein source. This looks delicious. Don’t think I have ever made flautas, but these look delicious! Love that they are healthier than the usual type. Can’t wait to try them! You know, I hadn’t attempted flautas either before this recipe – I was always intimidated by them! I can’t wait to hear how these turn out for you! 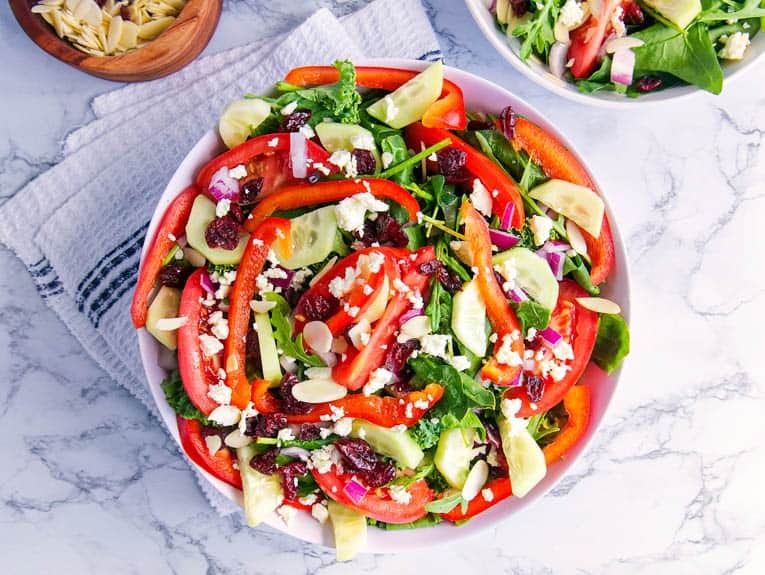 This looks great, always love healthier options for my favorite recipes! Yay!! 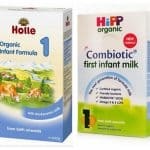 I can’t wait for you to try this Noelle, I’m sure you will love it! This looks delicious! I love Mexican food and I make it often at my home. Just made these for my family tonight and they were delicious! So easy and attractive, they turned out just like the picture above. That is awesome!! So happy to hear that Rebecca! 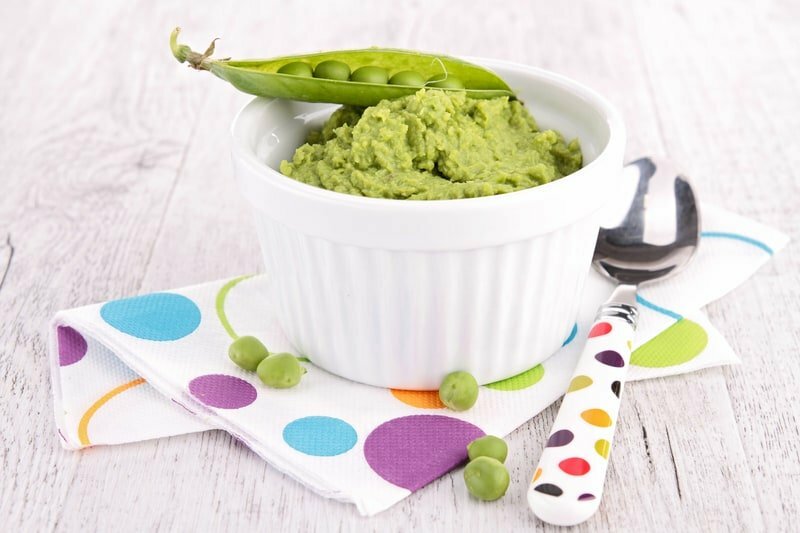 This is one of my favorite recipes for sure – and I love that they are totally guilt-free! My 2 year old son LOVES chicken flautas & literally eats them for breakfast sometimes! 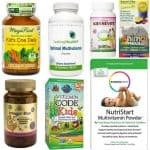 I came across your site looking for a healthier version for him! Will def let you know how it goes…thanks for posting! No problem at all! So nice to meet you Tara! 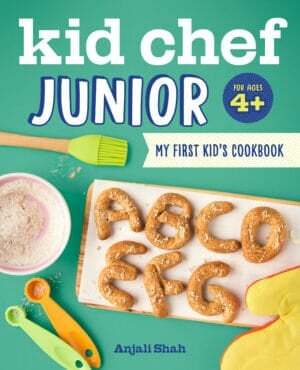 I can’t wait to hear how your son likes this recipe – definitely let me know how it goes! I enjoy flautas w/a side of tomatillo/avocado sauce. 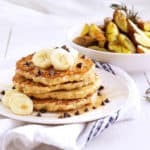 Delicious ingredients and great recipe! This is a must try! Looks delicious. 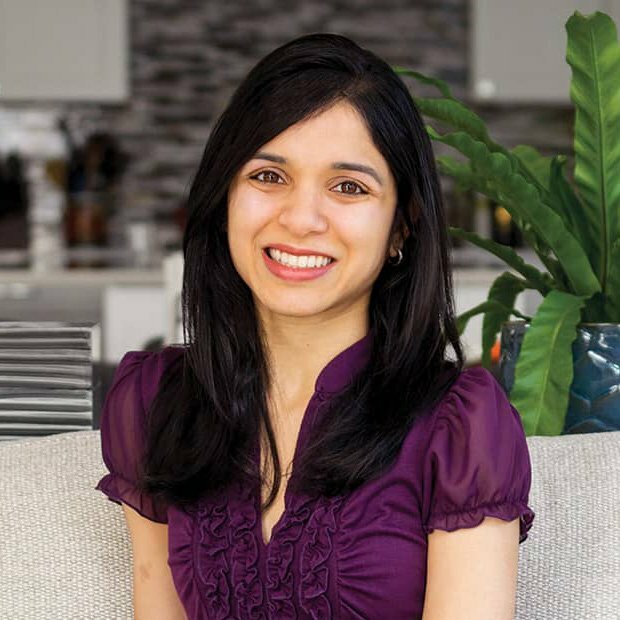 I love the recipes in Vegetarian Times.